Feel light, free and unrestricted. 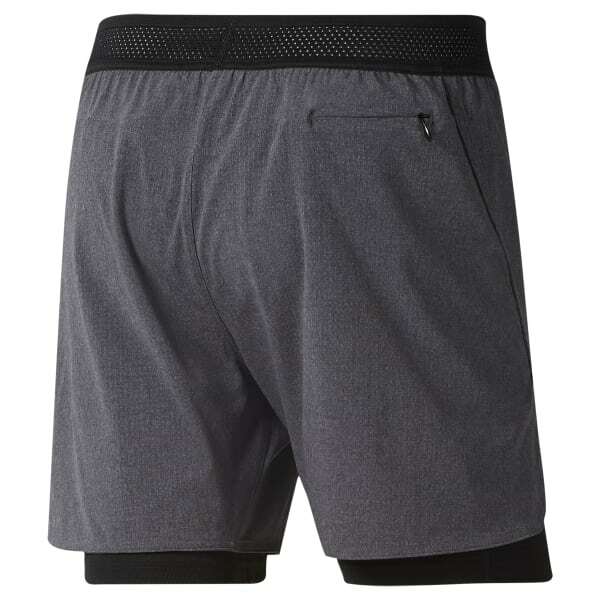 These men's two-in-one running shorts combine stretchy, slim-fitting outer shorts with fitted inner shorts for maximum coverage. They're made of Speedwick fabric designed to lift sweat away from the skin. The elastic waistband provides a secure feel, no matter the pace.